If you want to go out and have fun, drink too much, party a little too hard--then this is the shirt for you. I'm not the best influence on people...I'm by no means a bad person...I like to have fun. I work hard...I play hard. I can make bad ideas seem like great ideas! 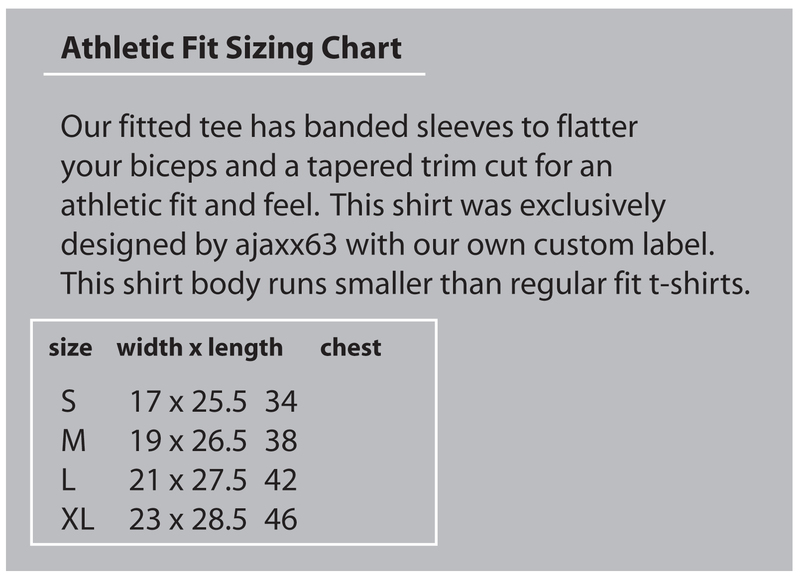 One-color whiskey label white silk-screened graphic on a faded black custom sewn athletic fit shirt with banded sleeves for ajaxx63. Our shirt is softer and of higher quality than our competition and is nothing short of amazing. It hugs the biceps and shows off what needs to be shown off in pure ajaxx63 style. Graffiti style ajaxx63 logo on back at neck.